Recently I went out into the big wide world and did something that many people on the Internet think people like myself never do, that's buy things with my own money. I have two young gaming kids, so headsets and controllers are something that I go through at a worrying pace in my house. Buttons broke here, wires bent in the wrong place there, all of these are given a special place in the corner of my living room which I like to call the graveyard. the place where items go and gather dust while I keep telling myself "I will get them repaired one day" (Of course I never will). With my current Turtle Beach headset being on the injured but not dead just yet list for the last few months, I've been on the lookout for a good headset which works on everything, but also didn't break the bank. 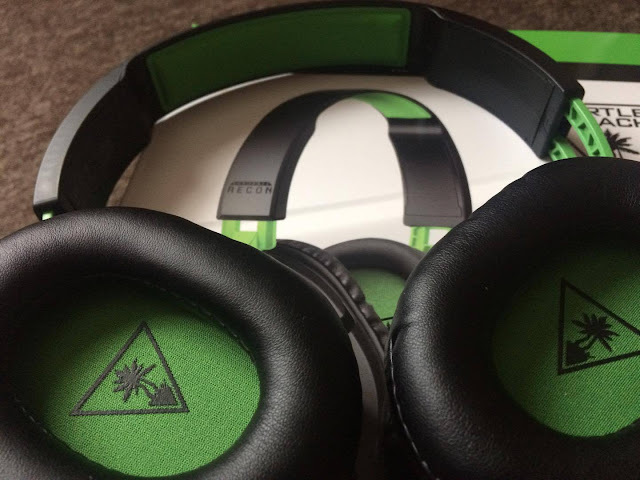 Turtle Beach have been my headset makers of choice since I got my hands on one for a review piece wayyy back in my early days, with me before that never really thinking I needed a headset due to me never using a mic, and the kids either being at school or in bed being the only times I could get on my console. I couldn't live without them now, if not just so I don't have to hear other kids screaming through my TV when the kids are playing with their friends on Minecraft. Kids can be annoying in this day and age it turns out, more so when they are not your kids. The Recon X came out a good while ago now, so currently sits at a price here in the UK of around £25.00 to £29.99 brand new depending where you look on the Internet. With it being what I would class a budget headset, I was a bit worried that I would be paying for an item that would feel cheap, but being from Turtle Beach that is never really the case. Not being someone who cares about specs that much, I just know the quality of sound coming out of the headset when using them has been good enough for me, whether that be when I've used them on my Xbox One for gaming, watching GoT on a late Sunday night, on my laptop like right now for music when typing this review up, or even watching a few YouTube videos on my phone while the wife is watching her soaps and I couldn't be bothered to get the laptop out. It's done the job I expected every time, and for a headset under £30.00 I cannot complain it one little bit. In terms of the mic, I've never had a reason to complain about a TB mic ever before, and that is no different here. It does the job it is meant to do, so no complaints here either. Another massive thing for me when buying or reviewing a headset is comfort and quality. Starting with quality first, you can certainly tell it's one of the lower priced TB headsets when you take a quick look at the material used bringing it all together having a more cheaper look to it than their more expensive headsets. The top of the headset where it tends to have a giant chunk of foam to sit on top of your head is also missing too, but luckily none of this stops the headset still being good quality, offering the right amount of comfort when using them. I game for hours at a time, and when I'm not gaming I am on my laptop most of the time doing things, and with Summer Holidays the headset has been on my head the whole of that time. Not once have I found myself having sweaty bits around the ears or needing to adjust the headset due to long use and them being painful to wear. The earcups themselves make the headset an utter joy to wear, and they sit around my average ears perfectly. 10/10 right here. Cue the "I'm totally not paid to read these lines off a cue card" video below. 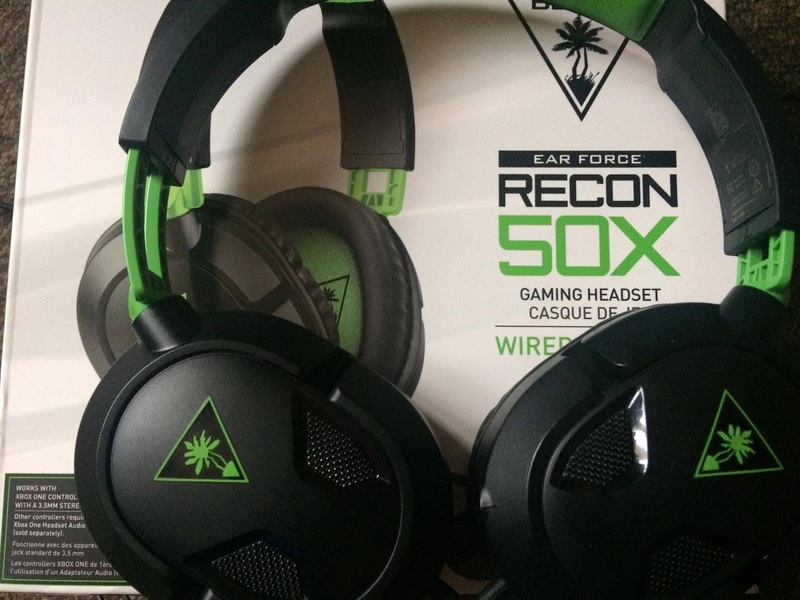 Overall: A great basic wired headset for those guys who game on multiple consoles. Ticks pretty much all the right boxes when it comes to value for money, with the headset being a good one if you need a new one, or just want a second one to keep kids or mates off your shiny expensive pair.